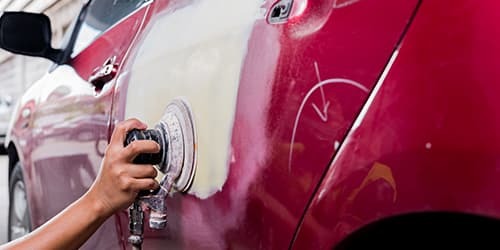 Professional and Affordable Collision Repair and Auto Body Repair! Family Owned And Operated Since 1928 • Local Since 1957! Our shop in Stafford uses the latest collision repair technology to get your vehicle back to pre-accident condition. Family owned & operated since 1928, serving Fort Bend County since 1957, we have nearly 90 years of history! We have been serving Fort Bend County for 91 years! Charlton's Body Repair specializes in collision work and has a good relationship with all insurance companies. We recommend our clients to tell the insurance company where they want their vehicle repaired, as it is their choice. Most insurance companies have their own shop which work for them, WE WORK FOR YOU! And we will do everything in our power to repair your vehicle back to pre-accident condition, using quality PPG paints! Chuck has always said, "If it's not good enough for my vehicle, I sure wouldn’t put it on a customer's!" Charlton's Body Repair has had customers drive as far as Silsbee, Texas which is over 100 miles to get their cars repaired. The history of Charlton's Body Repair began in 1928. E.C. Charlton opened his first station, Charlton's Garage & Station and Used Cars in Midway, Texas. In the 1950's E.C. and Molly Charlton decided to relocate to Stafford, Texas where he and his youngest child (and only son), Johnny Mac, opened Charlton's Garage & Station and Used Car Sales in 1957. “Very much highly recommended! Probably my new favorite body shop. I brought my car in for a repair after my bumper was hit and dented while it was parked. The person's insurance covered all the expenses. This place was recommended by the car insurance company because they have worked with them in the past. It was my first time at this shop and didn't have any expectations.